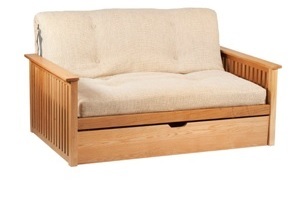 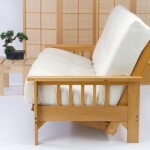 The Iowa futon sofa bed has been a best seller for many years. 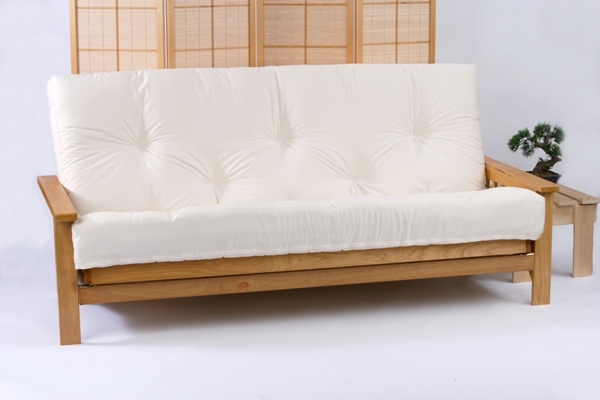 A lovely oak timber frame combined with a choice of comfy futon mattresses makes the Iowa perfect as an everyday sofa or bed. 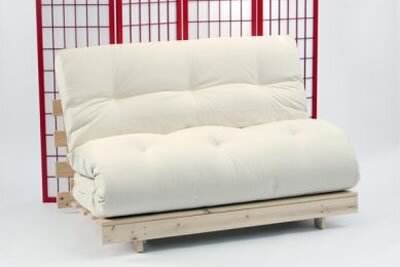 This is a very popular and successful 3 seater futon sofabed. 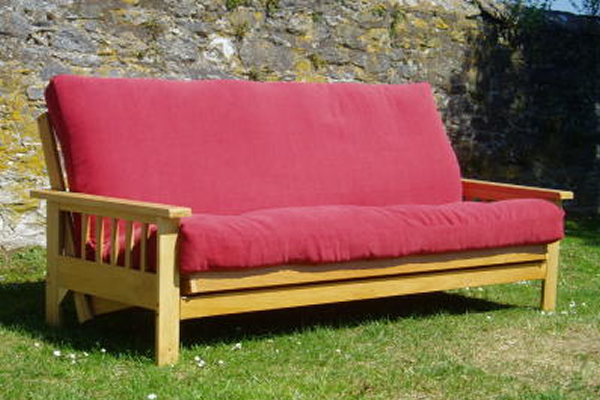 Perfect for use as a sofa in appartments, home offices and conservatories. 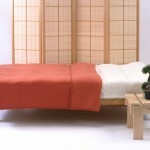 It is very easy to convert to a double bed and back again. 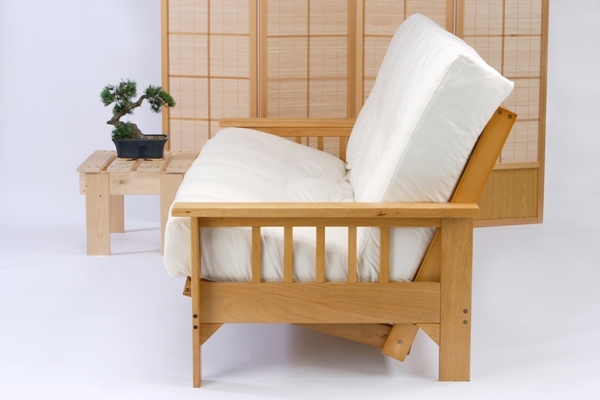 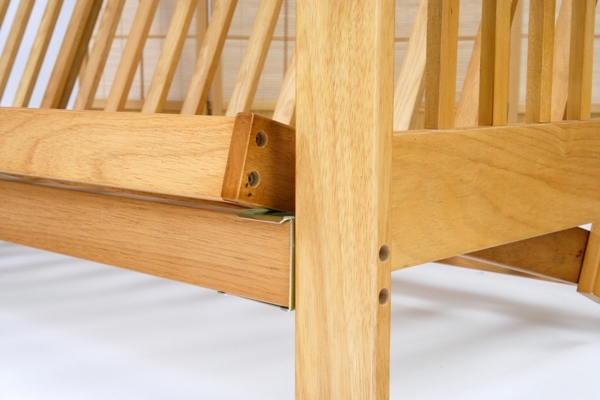 Supportive comfortable seat on an attractive Oak wood frame, with redwood pine slatting, which is finished to a light / honey oak colour. 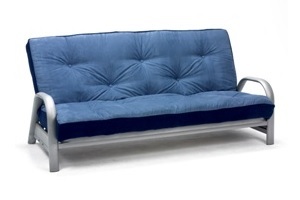 We offer two quality futons, one for regular use as a sofa and bed - 'Ultra'; and one for everyday use - 'De-luxe'. 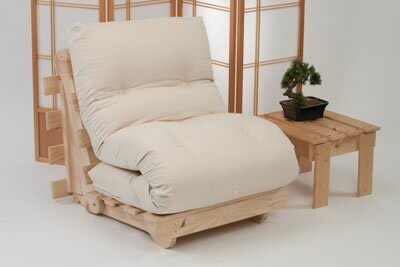 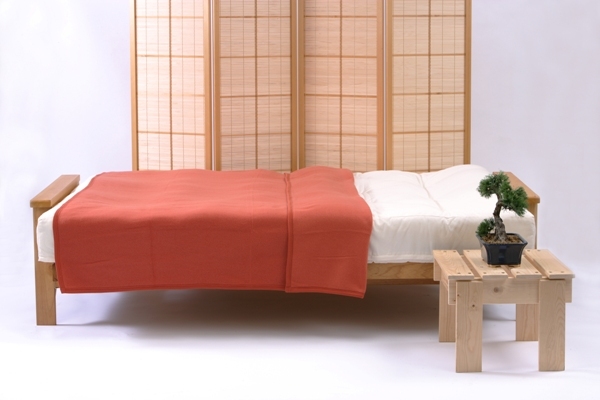 The futon (cushion) is substantially constructed, especially for Futon World, with pure lambswool, woolfelt, & rebound polyester ('De-luxe' has an additional core of foam), to a minimum thickness of 6" (15cm). 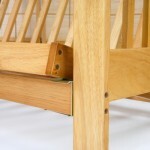 Removable covers are an option please select from the drop-down menu below. 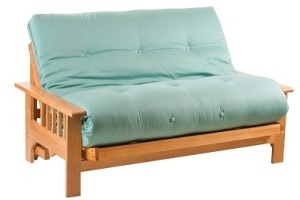 Self-assembly is required which should take no longer than 60 minutes. 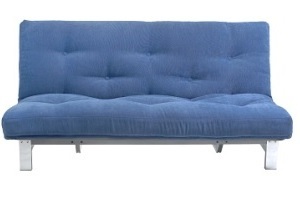 Everyday sofa - Frequent/permanent bed.